This large capacity 8 cup 1.7L kettle is an instant classic, and one of the most popular from Breville. With a distinctive ridged texture and a stylish glossy finish. 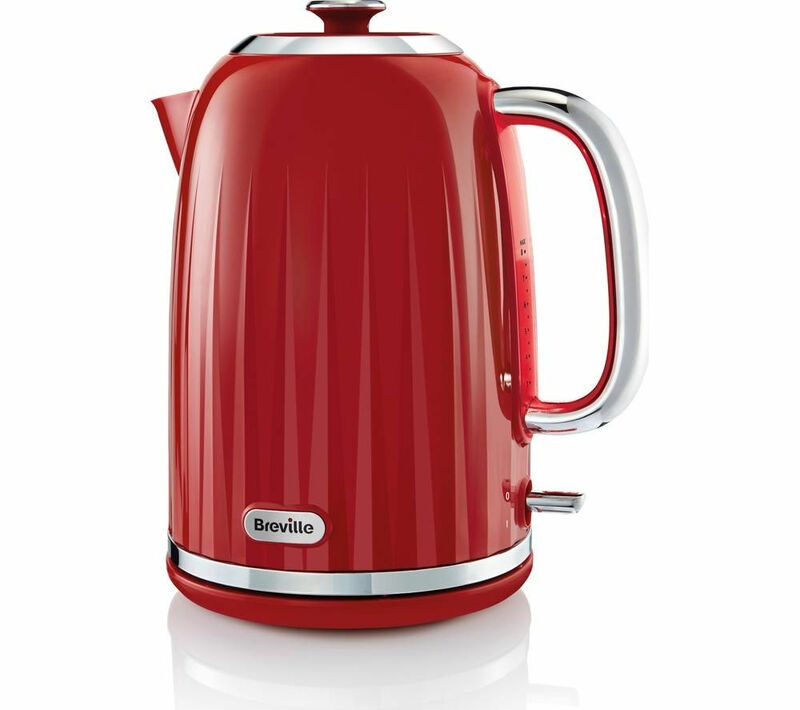 At a full 3000 watts, it also boils quickly and features a dramatic blue internal illumination when boiling. With a lift-off lid is designed for ease of use, as well as years of trouble-free service. It swivels a full 360o on its base. The high-capacity heating element is fully hidden, making the interior smooth and accessible, and the limescale filter can be removed easily for cleaning.